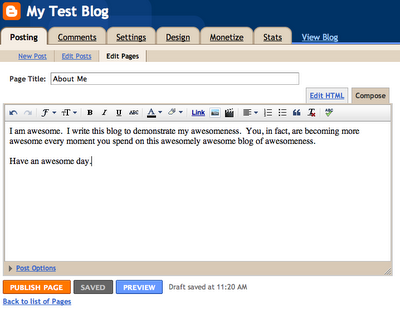 Here's a really simple trick to make your blog much easier to explore: add navigation tabs under the header. (Like on my blog, I have tabs for Home, Tutorials, etc.) I was really excited when I found out how to do this, and it's so easy, too! Here's how you do it. 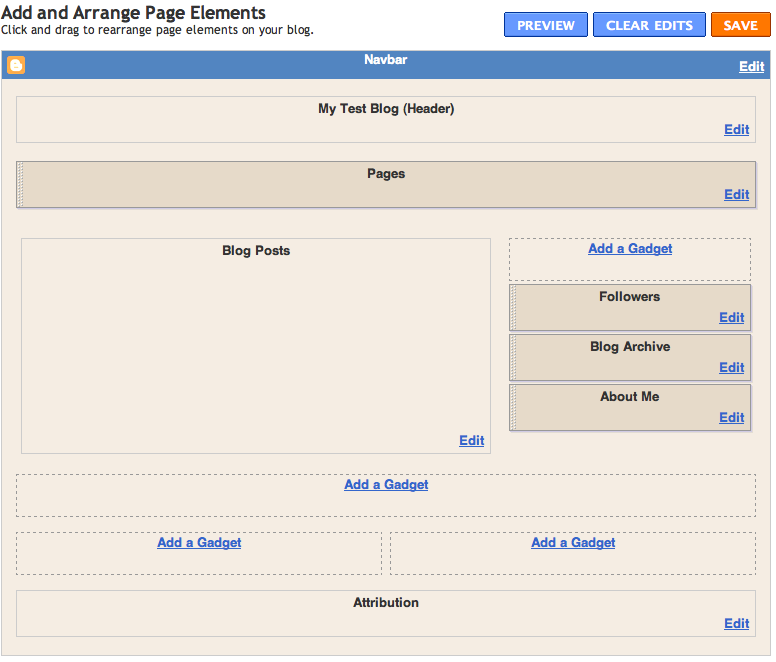 In Blogger, click on the Design option. 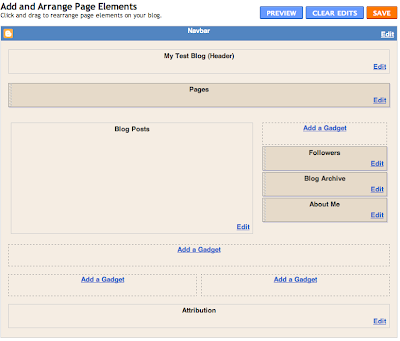 From there, choose Page Elements, and Add a Gadget right under your header. Add the "Pages" gadget (under "Basics"). You probably want to have the "Automatically publish new pages" option checked. Save changes, and you have your navigation tabs. :) See? Super easy. Now for adding pages (and tabs). You will automatically have a Homepage (of course--this is where all your amazing posts go! ), but you probably want more than just that, which is why you're reading this post. Let's say you want to add an About Me page and tab. Just go to Posting, then Edit Pages. From there, you can add new pages, edit the ones you already have (but not the homepage--it is what it is) or click on "Learn more" to (are you ready for this?) learn more. So, click on New Page, and then write all about yourself! I have an idea about how to make customized navigation tabs. I'll let you know when I get it all worked out! Awesome! So glad I found this blog. I'm now following it. Great information on how to make the blog even better. I am still working on making my blog better and even though the only thing I have got done is collecting tutorials for how to do it I am at least half the way there. I am adding you to my list too. Thank you for sharing. I found you at The Girl Creative.